Dep. A-G Dina Zilber warns southern Arab city that separate men's and women's swimming hours is illegal if there are no coed hours. 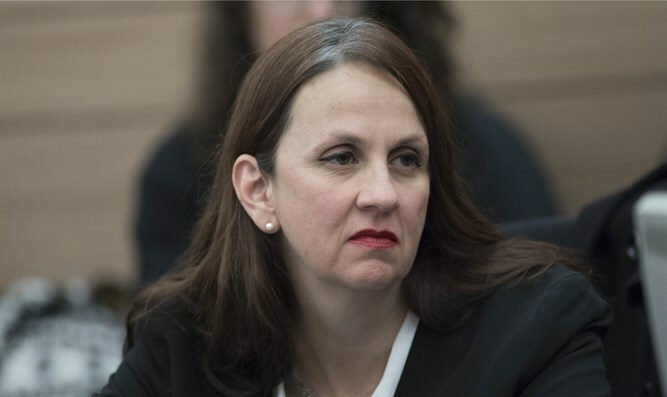 Deputy Attorney General Dina Zilber accepted the Otzma Yehudit party's petition and informed the Rahat municipality that a publicly funded swimming pool cannot have separate hours for men and women. Such management, she explained in a letter sent to the municipality, will not withstand the test of the Supreme Court. The petition, submitted by former MK Dr, Michael Ben-Ari, Baruch Marzel, and attorney Itamar Ben-Gvir, pointed out to Zilber that the Religious Zionist and haredi communities had been told several times that it is illegal to designate separate hours for men's and women's swimming in a publicly funded pool. They also pointed out that religious Jews were prevented from holding a Selichot prayer session in Tel Aviv, and were ordered to remove fences at separate beaches. Kiryat Arba's swimming pool, which did have separate hours for men's and women's swimming, was closed after someone submitted a petition to the Supreme Court. In a letter, Ben-Gvir stated that if the law in such cases is different for Jews and Arabs, he intends to submit a petition to the Supreme Court. In her letter, Zilber admitted the truth of Ben-Gvir's statement and wrote, "As a rule, separation between men and women in public areas is...problematic and harms equality." This is especially true, she explained, since "this is the first, and currently only, public pool in Rahat." If the pool does not include coed or "family" hours, then its policy will be illegal and it will not stand up in the Supreme Court. Ben-Gvir said, "We will start with Rahat, but our aim is to enforce the law and the rules in every place, from Rahat (in southern Israel - ed.) to Deir al-Asad (in the Galilee - ed.). We will not allow the exclusion of women in the Arab sector, and we will not allow Arab chauvinism. As long as Mrs. Zilber believes that separation is illegal, we will ensure that the law is enforced in every place in the Arab sector."